While some are not entirely convinced about the grand idea of turning Cyberjaya into a Smart City, one cannot deny how much the city has grown in the last two decades. Today, it has a population of over 100,000 and smart solutions are shaping the streets. According to Cyberview Sdn Bhd managing director Mohd Najib Ibrahim, Cyberjaya is no longer confined to just Malaysians or the tech industry as it is working on more collaborations with other ecosystems around the world. He cites a collaboration with an innovation hub in Australia. Although it is inevitable to compare any tech city with Silicon Valley or Canary Wharf, Najib said these will never be apple-to apple comparisons. “While we look out for ideas and inspirations, we know that what we are building here will have to be based on our own mould, a cut of our own cloth,” he says. “In building a smart Cyberjaya, we recognise that the basis of everything that we do here should always be about building better communities, with technology and innovation as enablers towards that end. It is only with that, will what we do here bring real meaning and have real impact,” he adds. 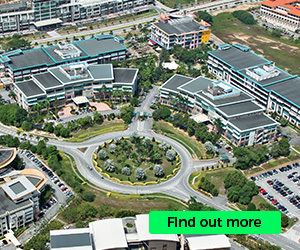 Cyberview started its journey as a landowner in Cyberjaya back in 1996 and now it has assumed the role of a tech hub enabler in the city. To turn Cyberjaya into a global technology hub, it identified two key pillars — mould Cyberjaya as a Smart City and position it as a Living Lab for smart city solutions. He said the ultimate goal is to improve liveability across four categories — environment, infrastructure, economy and social. These initiatives are supported by the Cyberview Living Lab Accelerator (CLLA) programme that has nurtured more than 60 start-ups, with RM22 million in investments raised, RM23 million in revenue generated and more than 300 jobs created. To name but a few, successful start-ups from previous cohorts include MyCash, The Lorry.com and LuxTag. A total of RM12.28 million was raised from the programme by the previous cohorts. As for its current cohort, Najib highlights EPC Blockchain as one of the interesting start-ups that offer the possibility of monetising carbon credits from energy projects as well as to allow fundraising of energy projects through alternative models such as equity crowdfunding. All of these fall under the purview of CLLA, which offers shortlisted start-ups the resources, facilities, mentorship, networking and market access opportunities to commercialise their businesses. CLLA is one of Cyberview’s Living Lab initiatives, which include Living Lab Talent, Living Lab Pilot and Living Lab Enterprise. On top of that, says Najib, Cyberview’s latest project, which will be launched by year-end, focuses on entrepreneurs and aims to produce 100 start-ups, create 500 new jobs and train 1,200 entrepreneurs. The ultimate goal of this project is to enable entrepreneurs to move towards commercialisation of their ideas and products easily and efficiently by lowering barriers, says Najib. At the same time, Cyberview is planning to unveil an innovation and commercialisation initiative called Futurise Centre by year-end. The goal is to stimulate and accelerate industries by leveraging on emerging technologies and also to drive the innovation agenda of Malaysia as the country gears up to grow its digital economy. 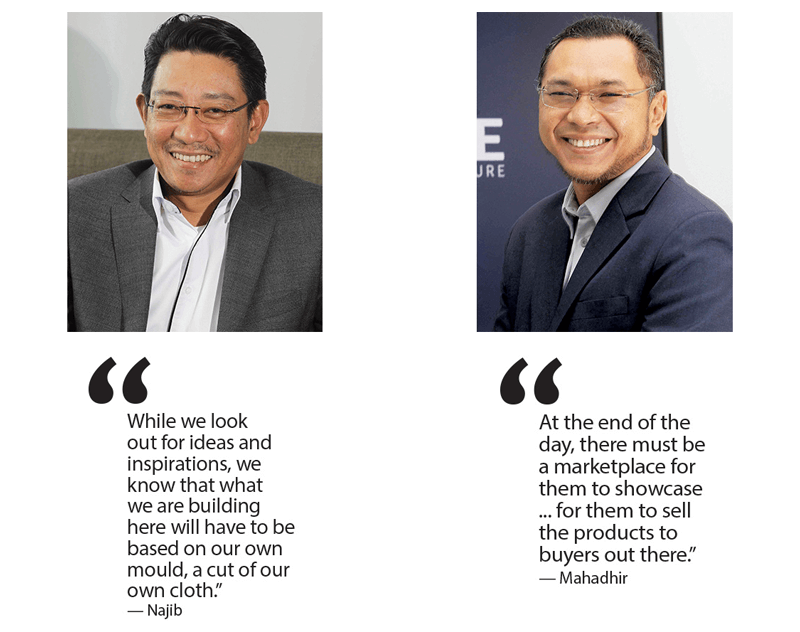 Acting CEO Mahadhir Aziz says the ultimate goal for Futurise Centre is based on three pillars — to develop and nurture the right type of technopreneurs, create intellectual properties and be able to commercialise the products. “At the end of the day, there must be a marketplace for them to showcase ... for them to sell the products to buyers out there,” Mahadhir says, adding that its success is measured by its ability to produce commercial products. As such, Cyberview is assisting in different ways, providing them with more than just incubation and acceleration programmes. He notes that it is crucial that in the process of commercialising products, further consultation with regulatory bodies and industry players is done to make sure that the products’ disruptive impact on the market is managed and handled properly to reduce repeats of cases like the ride-sharing services. Futurise Centre is already working with tech giants like Microsoft. At the moment, it is aiming to come up with a set of developers specifically for augmented reality (AR) technology using Microsoft HoloLens. Mahadhir says while the training has been agreed upon by both sides, he is waiting for Microsoft to bring in its equipment to Futurise’s showcase centre. The aim is to enable developers to look at ways of harnessing AR technology in various industries, like how Futurise plan to focus on leveraging technologies to solve issues in key industries. He wants Futurise to be a one-stop centre for large companies and corporates to connect with the right talent pools, such as students from different universities. Mahadhir says Futurise had been talking with then Ministry of Higher Education so that it could identify potential intellectual properties from universities that could be commercialised together with Futurise. He points out that it had agreed with the previous government to look at ways to collaborate with universities, for them to send students over for either professional training or final-year projects. He said although no agreement has been reached as yet, there was a prior understanding, in particular on robotics projects, where it had directly evaluated proposals from more than 15 universities and polytechnics. Referring to a life-sized humanoid biped robot called ADAM, Mahadhir says it plans to stretch our best roboticists to their limits to see what they can produce. However, the bigger agenda behind this project, he says, is to apply the same technology to other parts of non-robotics projects such as employing those mechanics and automation to help plantation workers to harvest palm oil. The idea is to also apply it in other fields. “It’s about those ancillary technology sectors that we will create for the mass market.” As for its vertical accelerator, it is looking to aid agriculture and healthcare industries before extending its scope to transportation. Cyberjaya is now currently in the third phase of its five-year Smart City Roadmap, which aims to promote widespread access and adoption, while building a smart community in line with Malaysia’s digital economy aspirations. With these ongoing initiatives by Cyberview and a strong foundation built on businesses and educational institutions, the city is showing its strength to non-believers. Izzat H. Ishak, an electronic and engineering graduate from Technical University of Malaysia Malacca (UTeM), had turned his final year project into a viable business two years ago. 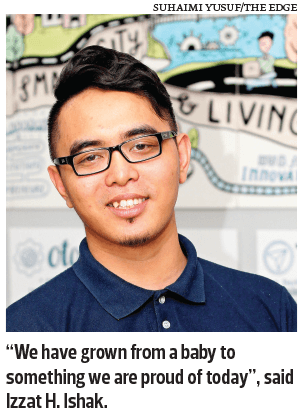 The 27-year old set up TrackerHero at his home office before moving to Cyberjaya with the help of Cyberview. It went through an accelerator programme by Cyberview and had managed to secure a 6-digit funding from angel investors. Since then, the security solutions provider has achieved good traction with its portfolio boasting 30 over clients from the government and private sector. “We have multiple successful case studies, [When] some of our clients bring our brochure to their end users... They secured up to 3 million [Ringgit worth of] contracts,” he added. With such achievements for a start-up, Izzat is not resting on its laurels. 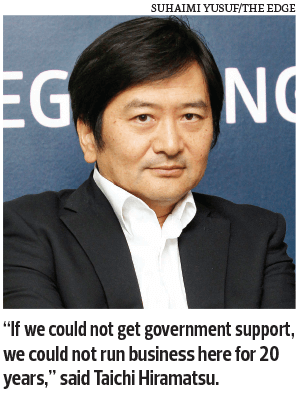 His dream is to list the company on the LEAP market after 50 months starting the company. Currently, TrackerHero has about 10 employees and Izzat’s wish is for it to be a sustainable company, which can run on its own one day. Commented on Cyberview’s effort on start-ups, Izzat says Cyberview allows it to work with multiple partners and stakeholders and more importantly, to connect them with mentors and venture capitals. “Cyberview has done a great job in terms of facilitating start-ups such as TrackerHero, [We have grown] from a baby to something we are proud of today,” he said, adding that Cyberview has done a great job to make sure it is on the right path to be a Smart City. Electrical engineer graduate Faizal Ali was working in the States as an electrical engineer until two years ago when Malaysia Technology Development Corporation (MTDC) offered him some incentives to start a company in Malaysia. He then established Gremax Holdings Sdn Bhd, which is a streetlight controller manufacturer, at Cyberjaya. The reasons, he said, was the reasonable rental rates, the ability to attract talents to the office and the ecosystem of living with other start-ups. “I’ve always liked Cyberjaya for reasons I can’t articulate. Maybe it’s the lake, or the diversity.. hard to say,” he told The Edge in a recent interview. Gremax makes Internet of Things (IoT) devices and sells a cloud service solution for its devices with SaaS model if the system integrators chooses to use its cloud solution. In a nutshell, its IoT device solves two problems – energy savings and failure detection. He said, “There is a tendency to be a technology consumer in Malaysia.” A good example is that we tend to buy technologies from developed world and he is hoping to see some changes. In line with its global expansion plans 21 years ago, Japan-based NTT Communications Corporations has set up its unit NTT MSC Sdn Bhd in Malaysia and the story began in Cyberjaya. NTT MSC Sdn Bhd President and chief executive officer Taichi Hiramatsu said it saw a good opportunity to grow its global services in Malaysia hence it became the first stop in Asia-Pacific Economic Cooperation (APEC). He said many might be put off by the distance from Kuala Lumpur to Cyberjaya initially, but as time goes by, the connectivity became better to other parts of the city. The data centre solutions provider was given MSC status by the government with some tax incentives. He said the most important part is that the government has aided its hiring process. As such, NTT MSC has grown by leaps and bounds with about 180 employees currently.